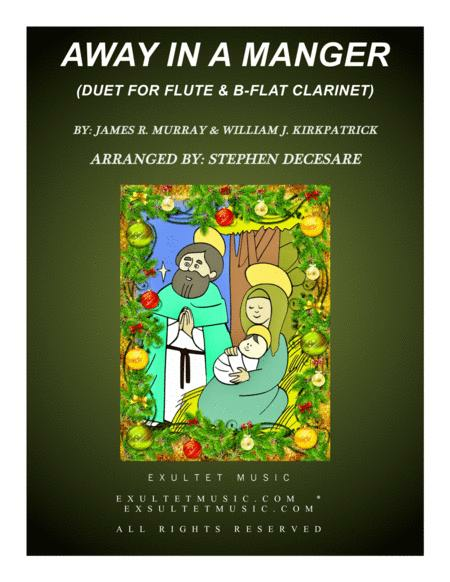 Composed by James R. Murray, William J. Kirkpatrick. Arranged by Stephen DeCesare. 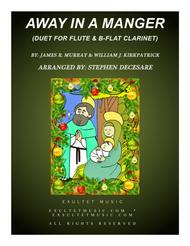 Christian, Contemporary Christian, Sacred, Christmas, Children's Music. Score. 12 pages. Published by Exultet Music (S0.242343). This setting brings together the two popular melodies associated with the "Away In A Manger" lyrics. Both parts start independently of each other but then intertwine as countermelodies to each other. Scored for Flute and Bb-Clarinet with Piano accompaniment. Accessible and appropriate for any church or concert setting. .